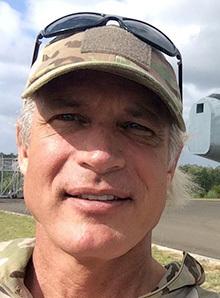 Lieutenant Colonel William D. Casebeer, Ph.D.
With the increasing adoption of immersive technologies and environments such as VR (virtual reality), AR (augmented reality) and MR (mixed reality), the risk and impact of these modalities on the human, such as cybersickness, is yet to be fully understood. Dr McGrath is a specialist in the field of human factors and will give an overview of considerations for managers and implementation for use of these technologies. With growing accessibility to commercial virtual, augmented and mixed-reality platforms the role of immersive training and assessment has broadened to include a range of applications across many industries. This session will present a range of new technology platforms and their applications in VR-based training, from artificial intelligence to biometric feedback, as well as cover some of the questions being raised to professionals as the technology moves into new frontiers. This session shares the first trial of a free-roam virtual reality (FRVR) technology for military training. Soldiers performed a VR-simulated room clearance task. Immersion in combat-based FRVR caused robust increases in heart and respiratory rates. Thus, FRVR technology is capable of provoking significant stress response comparable with existing combat training modalities. 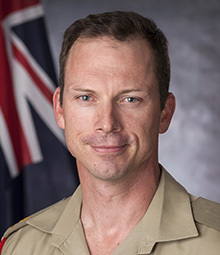 Dr Fidock will offer an overview on the recent international joint forces CUE 17 exercise and discuss the role of live and virtual simulation in the contested urban environment challenge held in Adelaide in November 2017. Dr Casebeer’s presentation is in collaboration with the Centre for Creative and Cultural Research, University of Canberra. Dr Casebeer is a career intelligence analyst and Lieutenant Colonel in the US Air Force. He currently is the Senior Research Area Manager in Human Systems and Autonomy for Lockheed Martin Advanced Technology Laboratories. Formerly Dr Casebeer was at DARPA in the Defense Sciences Office and the Biological Technologies Office, where he started the Narrative Networks and Low-Cost EEG programs, and led Accelerated Learning, Education Dominance, Strategic Social Interaction Modules and other programs. The Combat Mindset is a state of mind that prepares soldiers to kill the enemy and survive, then continue the fight. This state of mind offers the optimal paradigm for training Australian soldiers, and promotes the development of resilience and intuitive behaviours to perform in battle. Army training institutions are beginning to harness this Special Forces training philosophy to develop soldiers. This panel discusses reality based training as an enabler to instil the combat/warrior mindset. From the initial planning stage to the exercise using advanced opposing force combat effects, culminating in the reality of battle in hostile environments, the panel will discuss the role and place of reality based training in simulating the ultimate stress of war and the critically, physically interactive exchange between soldier and enemy. As one of the top simulation trainers in the world, Ken Murray will expand on the warrior mindset. Ken believes if training isn’t preparing for reality, it has the potential for failure under realistic conditions. Reality based training has gained popularity over the years as agencies strive to improve responses during critical incidents. Reality based training is much more complex than many other kinds of training. Technological advancements are enabling new relationships with mediums such synthetic agents, avatars, robots – to name a few. Are these mediums contributing to new forms of training and learning? Or are they merely reproducing what already exists in the ‘’theatre of the mind”? This panel of experts will draw on their experience in the field to interrogate the implications of next generation simulation training technologies and human interactions. scenario design for immersive environments. Project Castor is a prototype for a future secure defence learning platform. It utilises Commercial off the Shelf (COTS) capability via a games console to host an interactive learning environment and creating a platform for training that is more engaging and relevant to today’s personnel at all levels and areas within defence. This session will bring presenters from health, defence and manufacturing to share how different industries use simulation applications and methodologies to train teams or individuals across leadership, team communication and compliance. Simulators have been at the backbone of highly specialised, complex professional training programs for decades. Industries such as Aviation, Law Enforcement, Aerospace, and the Military rely on simulations to expose their team members to dangerous and sometimes life-threatening situations without actually putting them in harms way. With specialized niche industries proving that simulation training is valuable, why hasn't it spread to a larger scale? A number of the shortcoming of legacy simulation training (i.e. Screen-Based) are addressed by the advent of Virtual Reality (VR) Technology and allow for a scalable training simulation solution for industries across the board. Opaque has created simulations, visualisation tools and input technologies for a range of industries, including healthcare, military, construction, moviemaking, and spaceflight. On view at the booth will be a range of their training simulations and key demonstrations of how they tie into their flagship training and learning management/records platform, AIVA. REALITi allows you to deliver extremely effective medical simulation anywhere. In the field, on a ship, in a helicopter, the emergency room. Makes it easier, simpler and more cost-effective to train health professionals. State-of-the-art welding simulators are being installed around Australia, including the Regency Campus of TAFE SA to prepare South Australians for job opportunities in naval shipbuilding. Welding techniques required for shipbuilding are of a higher quality standard than regular welding techniques used in construction and manufacturing – welding simulators will allow students to practice their technique until they consistently meet the quality standard. Forum8 develops 3D virtual reality/environmental modelling software, used in simulated driver training, and in engineering and human behaviour research. A suite of tools for terrain, road and virtual environment creation, and for driver logging and assessment, will be demonstrated. Forum8 links with various driving and walking simulators, and with VR headsets such as Oculus and Vive. In the future the Joint Fires Specialist will be removed from the immediate battlefield and housed in a self-sustainable ballistic transportable box. The Extreme Battlespace Offensive Support System will provide the Joint Fires Specialist a synthetic environment of “fused reality” to conduct joint fires. Blending the physical and digital worlds, Plattar is the first augmented reality platform to transform the product experience across the whole lifecycle. From visualisation to training to maintenance and support their cloud based platform provides a highly flexible and scalable solution with all the benefits of service model. Come by their booth to see some of the world leading solutions they have created for the likes of Saab, Fisher and Paykel and other global companies. Cubic will be demonstrating EXCON solutions for high level collective training events and for lower level training, such as homestation training with a synthetic wrap able to deliver joints effects to the individual soldiers and platforms in the live training event. Cedar is a tablet app with utility across a range of domains which have human factor-related considerations. Cedar is based on NASA’s MATB-II desktop application which is widely used in human factors and operator workload research. It provides a benchmark set of tasks to evaluate operator performance and workload which can be used across experimental and trial contexts. Refer to elmtek.com.au/cedar-owat/ for further information. Dr Casebeer is a career intelligence analyst and Lieutenant Colonel in the US Air Force. He currently is the Senior Research Area Manager in Human Systems and Autonomy for Lockheed Martin Advanced Technology Laboratories. Formerly Dr Casebeer was at DARPA in the Defense Sciences Office and the Biological Technologies Office, where he started the Narrative Networks and Low-Cost EEG programs, and led Accelerated Learning, Education Dominance, Strategic Social Interaction Modules and other programs. His last military command position was as Deputy Director of the Technology Advancement and Warfighter Training Department for the 500-person Joint Warfare Analysis Center (a DoD modeling and simulation unit). 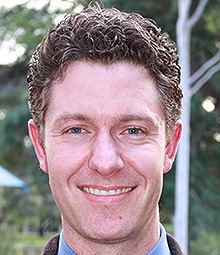 He holds degrees in political science from the US Air Force Academy (BS), philosophy from the University of Arizona (MA), national security studies from the Naval Postgraduate School (MA), and a joint PhD in cognitive science and philosophy from the University of California at San Diego, where his dissertation received the campus-wide outstanding thesis award. Formerly an Associate Professor of Philosophy at the US Air Force Academy, during 2005-2006 Dr Casebeer was project fellow at the Carr Center for Human Rights Policy at Harvard's John F. Kennedy School of Government, where he focused on ethics and counter-terrorism policy. 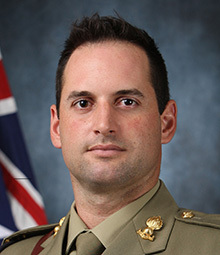 Lieutenant Colonel Chambers is an Australian Army officer who has extensive experience as a Commander in Australia as well as operational service. He also has experience as a tactics and command instructor for junior leaders and commanders. He has Commanded on operations at troop, squadron and regimental level during Operations Relex, Slipper and Okra respectively. As such he has been responsible for the pre-deployment individual and collective training of those contingents. 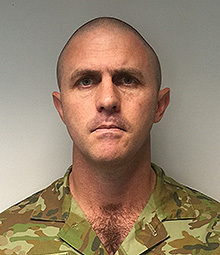 He has also commanded various echelons in Australia: as a Tank troop and tank special equipment troop leader; as an Abrams Tank squadron Commander; and as an Armoured Cavalry Regimental Commander. In these roles he was responsible for the combined arms training design and execution of Armoured Fighting Vehicle equipped troops and their respective echelons. Finally he has served as Army’s senior tank tactics instructor (2006/07) and as the Senior Instructor of Army’s Combat Command Wing (2013/14). These appointments afforded him significant experience in integrating virtual and live simulation into training programs used to qualify Army leaders for various command and staff appointments. Emre Deniz is the founder of the Opaque Space, among the world's leading emerging technology training and simulation companies with clients that include NASA, Boeing, Australian Defence Force among others. Emre is among the first developers of consumer VR in Australia, with a background in academic Serious Games as both designer and artist. Emre Deniz has been the project lead on the internationally acclaimed Earthlight franchise. 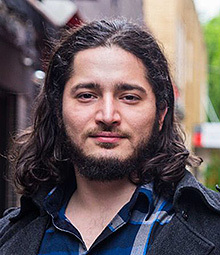 Emre Deniz was awarded MCV Pacific 30 under 30 in 2017 and 2018, and named one of the most influential VR developers in the Australasian region. He has given talks and presentations at over three dozen events. Dr Fidock has a Master of Psychology (Organisational) and a PhD in Business Information Systems. Since mid-2017 Dr Fidock has served as the Project Leader for the multi-national Contested Urban Environment (CUE) Strategic Challenge (SC). 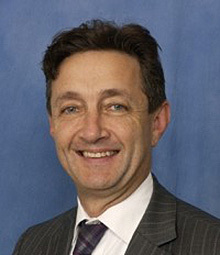 His work in support of this challenge culminated in the conduct of a large Defence technology trial in Adelaide in late 2017. This trial used a combination of live and simulated activities to support approximately 100 Defence personnel and 80 researchers in exploring how the integration of a number of emerging technologies could enhance intelligence, surveillance and reconnaissance capabilities of tactical land forces in future CUE. 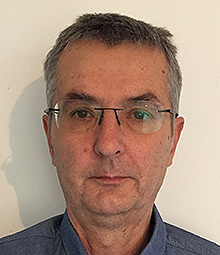 Prior to becoming the Project Leader for CUE SC, Dr Fidock has provided leadership and undertaken collaborative research in human-robotic interaction, exploitation of simulation to support concept exploration and applied cognitive science research, and evaluation of Enterprise level and tactical information systems and land vehicle systems. Justin is a strong advocate for and supporter of partnering with academia and industry and enjoys working on complex science and technology problems that require multi-disciplinary approaches. David is a lecturer in the Adelaide Nursing School, Faculty of Health Sciences, University of Adelaide. He is responsible for a teaching pathophysiology, pharmacology, disability care, chronic disease, microbiology, emergency care and clinical skills. David is co-editor of the textbook Health Assessment in Nursing. He has authored several chapters for Emergency Trauma Care for Nurses and Paramedics. He has authored a chapter on the value of simulation based learning. When coordinating simulations; David’s debriefing style is based in the work of Rudolph , Simon, Dufresne & Raemer (2006) through their work on "professional effectiveness through 'reflective practice". As nursing is a practice based discipline that relies on clinical acumen, skill and communication; David believes experiential and simulation based learning are the most effective means for student nurses to become proficient practitioners. Major Harrison is a CTMC graduate and works in Army Simulation Program. Previously a Combat Team Commander in Afghanistan, and an exchange Instructor at the UK Infantry Battle School, he has co-published with the University of Newcastle on the use of Free Roam VR and cognitive load in combat simulation. He is currently responsible for the modernisation of the Land Target System and Small Team Training Areas and Ranges. Dr McGrath is an experienced flight test and system safety practitioner system. During a 17 year civilian career with the US Navy, Dr McGrath was the lead Flight Test Engineer (FTE) for the Tactile Situation Awareness System (TSAS) project and successfully completed research, Development Testing (DT), and Operational Evaluation (OE) flight tests on T-34, UH-60, MH-53E, and Canadian NRC 206 aircraft, and the UH-60, SH-60, MH-53, CV-22 simulator’s. Not only did the test flight programs involve substantial flying, 1000’s of hours were spent in simulators prior to the actual flight completing risk assessment assessments, developing flight test plans, CONOPS, data integration and test pilot training. The T-34 flight test resulted in the world’s first non-visual flight using only tactile cues for orientation. The Canadian NRC flight test involved testing of improved avionics displays for helicopter landing on ships in high sea states and low visibility. 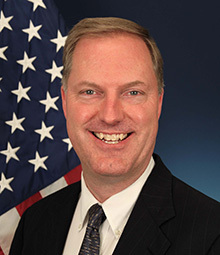 In addition, Dr McGrath continues to act as a US Navy, US Army, NTSB, ATSB Mishap investigator/Subject Matter Expert analysing military and civilian Spatial Disorientation mishaps for the US and Australian governments and has completed a number of mishap reconstruction flight tests in both aircraft and simulators. Braden is a Visiting Distinguished Professor at Embry-Riddle Aeronautical University in USA and Honorary Professor at Australian National University. 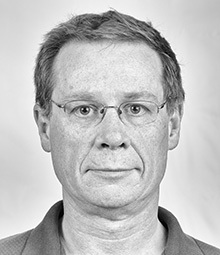 Associate Professor Eugene Nalivaiko is a senior academic with the major interest in neurobiology of stress. His research contributed to understanding neural mechanisms that mediate cardiovascular, respiratory and thermoregulatory responses to acute and chronic stresses. He is a co-founder and co-director of the UoN Biometrics Center that is currently engaged in the development of resilience-enhancing program for the ADF. Ken Murray is among the top trainers in the world when it comes to simulation training. Reality Based Training has gained popularity over the years as agencies strive to improve responses during critical incidents. Reality Based Training is much more complex than many other kinds of training. Murray teaches instructor schools on how to set up and conduct safe and effective simulation training and is considered the leading expert on reality based training. His new book, Training at the Speed of Life-The Definitive Textbook for Police and Military Reality Based Training, is being praised as the "bible for reality based training." Murray frequently writes for PoliceOne.com and is the director of training for the Armiger Police Training Institute. 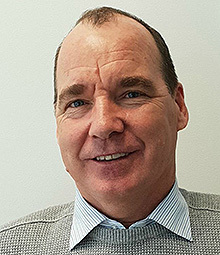 Michael joined Weld Australia as it’s National Business Development Manager in early 2018. 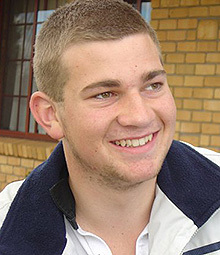 Prior to joining Weld Australia, Michael held various positions with TAFE New South Wales. He initially commenced as a Teacher of Metal Fabrication and Welding, moving on to take on roles such as the Institute Labour Market Programs Coordinator, Head Teacher Metal Fabrication and Associated Processes, and Manager of the Manufacturing Industry Liaison Unit. Most recently, Michael was the Faculty Director for Trades and Technology. An expert educational leader, Michael has had extensive experience in change management, project development and industry liaison and collaboration. Michael has been responsible for the introduction of significant reforms and has worked actively to change culture across TAFE NSW, Illawarra. Throughout his career, Michael has consulted with both industry and various peak bodies involved in training and development. In the course of this, he has introduced significant innovation and change to practice. Most recently, Michael was involved in collaborative relationships with the university sector, industry and peak bodies to deliver outcomes that will impact locally and nationally in the area of training and development. Michael believes that both research and practice are highlighting the benefit of blended delivery models for the strongest educational outcomes. This is an area of expertise in which Michael has both a strong passion and in-depth experience. Michael began his career as a Boilermaker Welding, before going on to become a Welding Supervisor. Michael went on to gain a Diploma of Teaching, a Graduate Diploma in Educational Studies, and a Masters of Education before joining TAFE NSW. Michael’s key focus at Weld Australia is helping to deliver Advanced Welder Training Centres around Australia. Michael will liaise with TAFE and industry to deliver the new Centres, and develop new opportunities in training, consulting and certification. Since 1977 Tad Pride has been the director of the two leading Special Effects companies in Australia (Mirage, PrideFX) that have been at the forefront of supplying large scale special effects for feature films, domestically and Internationally and in 2016 was presented with the Lifetime Achievement Award for Innovation and Excellence in Special Effects by The Screen Producers Guild. 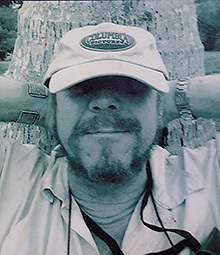 Tad has worked on and been Head of the SFX Department on films such as: Mad Max 2, Mad Max Fury Road, Fortress, Robinson Crusoe, Dark City, Mission Impossible 2, Red Planet, The Matrix and Superman Returns. In 1999, drawing on Tads extensive knowledge and experience of weapons, pyrotechnics and explosives, the CombatFX OPFOR military division was created. Since that time, Tad has worked closely with the Special Forces to maximise their Reality Based Training outcomes by designing and supplying close proximity Opposing Force Pyrotechnics and OPFOR weapons. These OPFOR technologies are not just an “effect”. They are tailored to the desired training needs (IED’s, VBIED`s, suicide Vests, booby traps, trip wires etc) thereby creating an immediate physically interactive cause and effect. This replicates to the maximum extent possible the intense environment experienced during actual combat operations. This is the enabler that creates the ultimate stress of war and to truly "train as you fight". 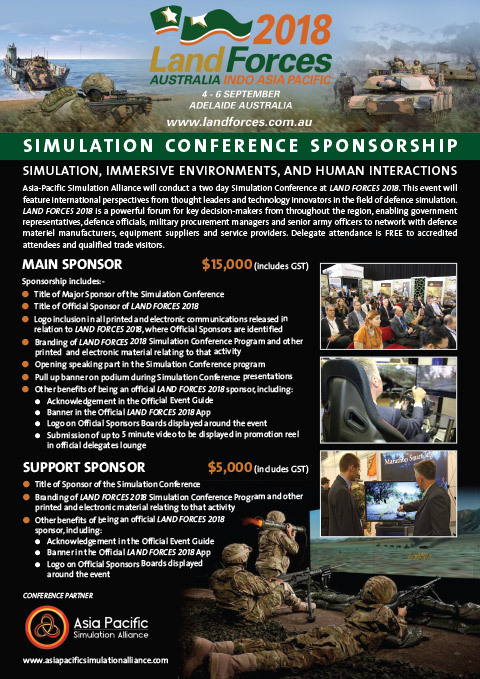 Adrian Webb is the Manager of Virtual Worlds at the Australian Defence Simulation and Training Centre (ADSTC). His role is looking at how Defence can better utilise technologies and capabilities from all walks of life to create a more engaged and prepared future workforce. It can be summed up as being an unbiased evangelist inside Defence (and the wider commonwealth) for new and emerging technologies and practices. This involves understanding products and systems capabilities, their limitation and to marry the best solution for the problem at hand. This is particularly focused within the simulation, VR, AR/MR and serious games space.